You are going to LOVE today’s recipe my friends!! This is a dish that I create quite often and one that my friends have requested over and over. 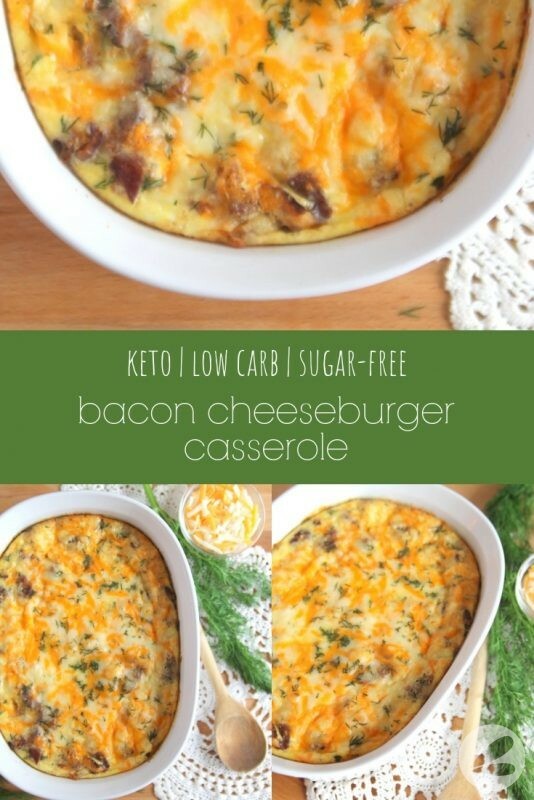 It is perfect for those who may be following a ketogenic, low carb lifestyle or anyone just looking for an easy, delicious meal to serve the whole family! 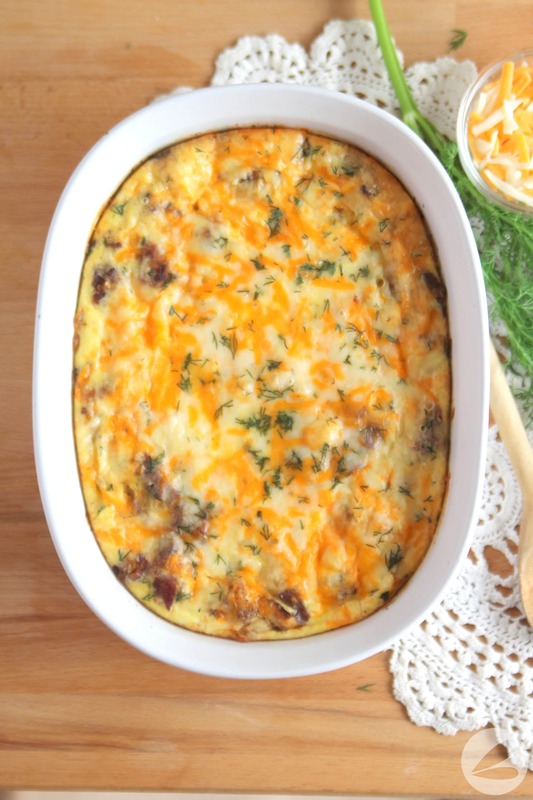 This Bacon Cheeseburger Casserole is a great make ahead or weekday meal to add to your menu planning. 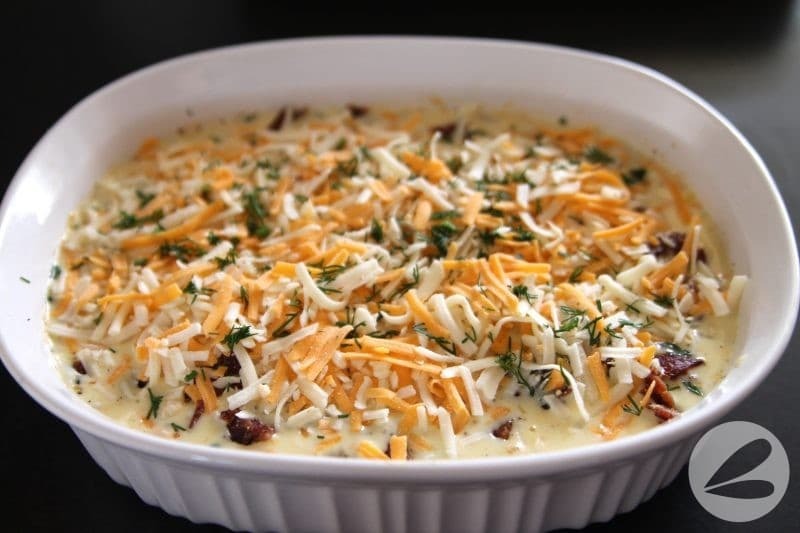 I love the flavors of bacon & cheese and will often pair this with a side garden salad. I like to top this casserole with a dollop of mayo and mustard for a more authentic burger vibe. Craving your favorite bacon cheeseburger take-out? 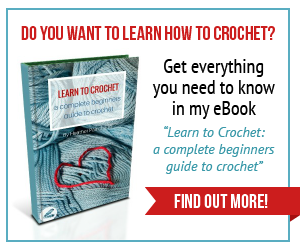 Try this first! 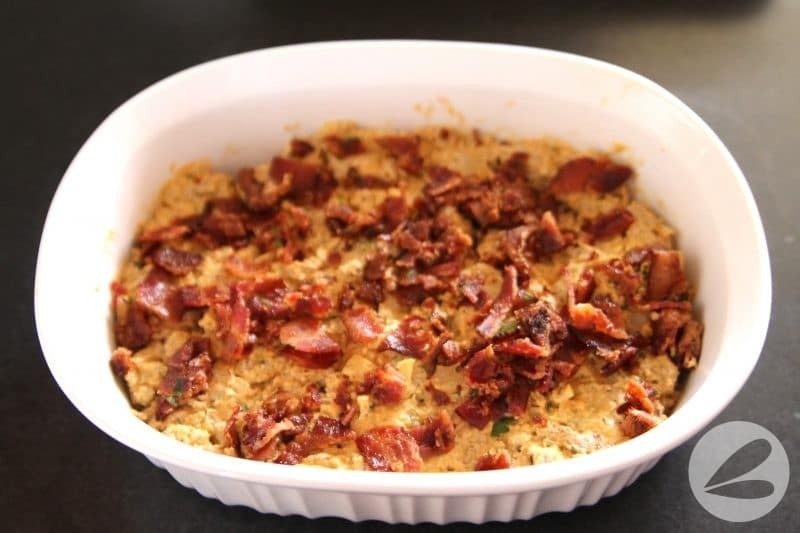 Place meat mixture in a medium baking dish and top with crumbled bacon. I use ground turkey for a good source of lean protein but you can definitely use ground beef if you wanted. 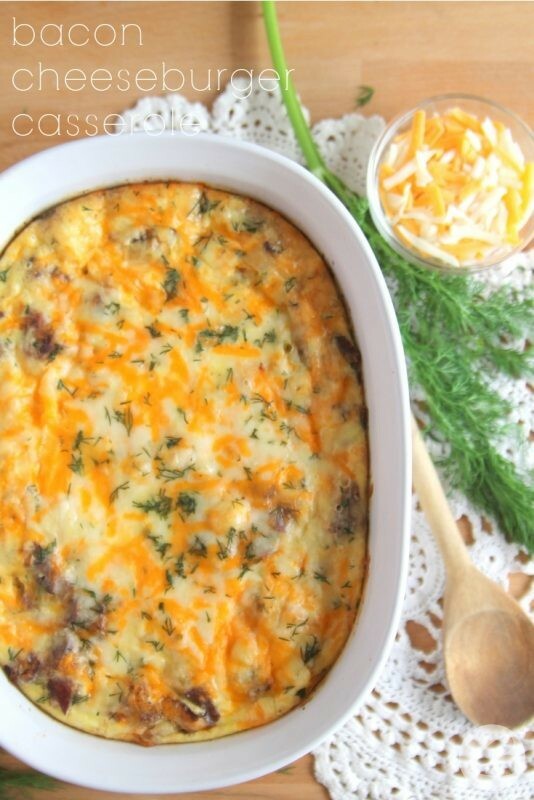 Pour egg mixture over the meat and top with cheese and fresh dill. Bake at 350 for 30 minutes. In a large frying pan, cook bacon. Set aside. Add turkey to the pan and cook on medium. Add onion and garlic and cook until onion is opaque. Reduce temperature to low and add cream cheese, ketchup, mustard and Worcestershire sauce to the pan. Stir and combine with turkey until the cream cheese is melted. 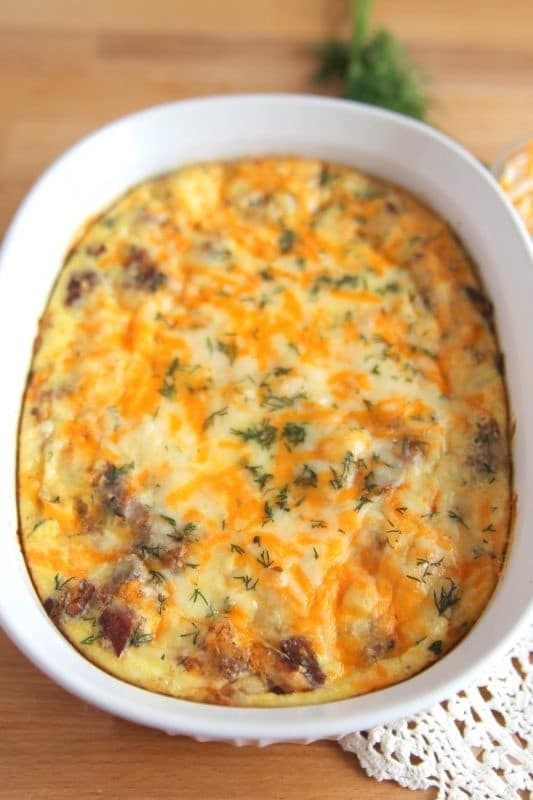 Place meat mixture into the bottom of a medium baking dish. In a medium bowl mix eggs, cream and spices. Pour overtop of meat mixture. Bake in the oven for 30 minutes at 350. 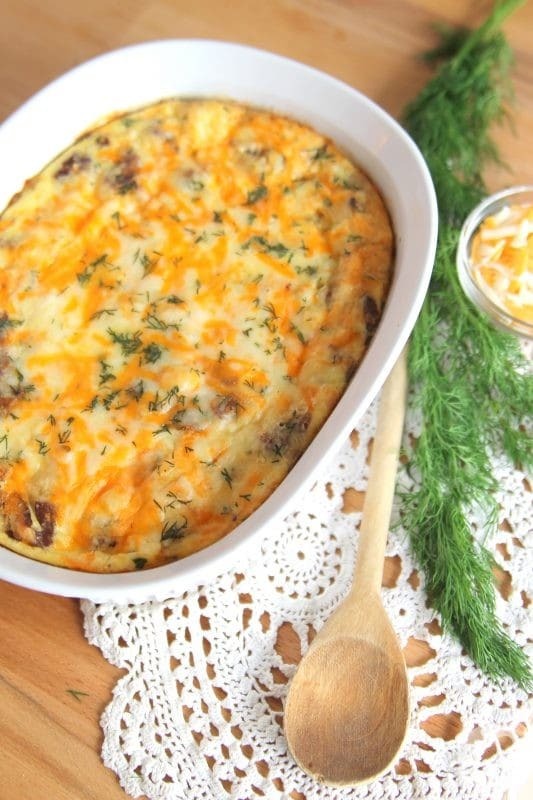 This is a dish that can easily be prepared ahead of time and warmed up later. 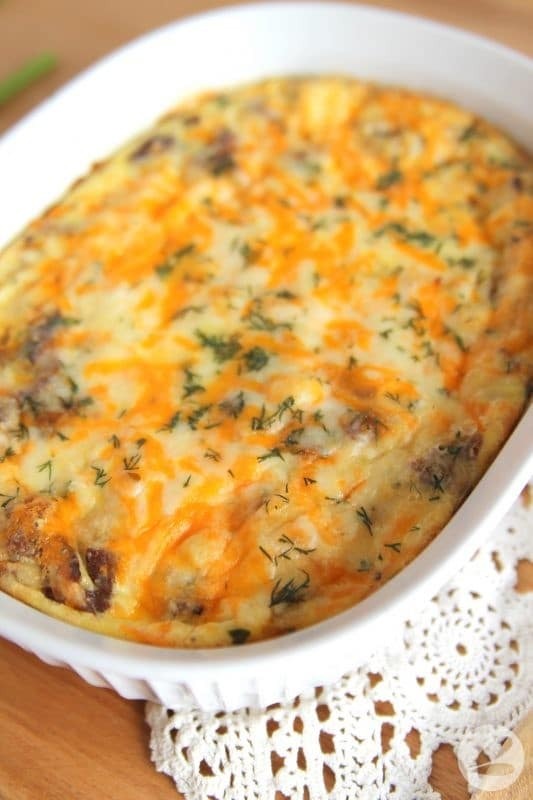 I often make this bacon cheeseburger casserole as part of my meal preparation for lunches. 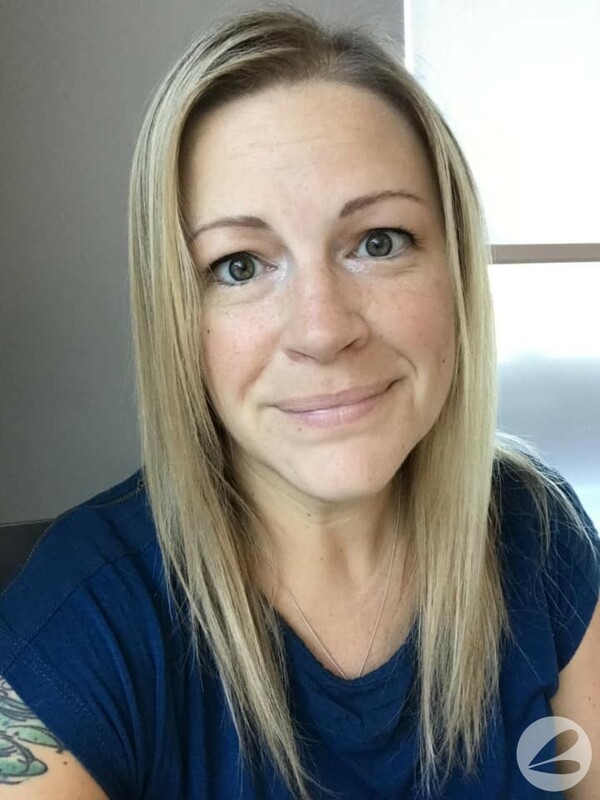 I make an entire casserole and when it is cooled I then divide it into four portions and freeze each portion for easy lunches that I can use on the go.